Take advantage of our new member offer now. Complete access to our 24/7 Rush Hour Parramatta Gym. Please complete the form to take advantage of our 14 day gym access trial period. A member of the Rush Hour team will call you to discuss any questions you may have and get you started. Located in Parramatta our Gym is 24/7 to help you build your fitness goals into into your lifestyle. Save time and money with our free and ample parking! 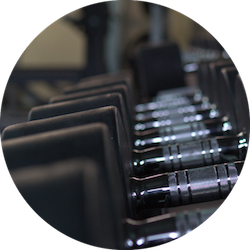 Complete range off free weights, barbells & dumbbells, resistance & cardio machines, functional training equipment.